Update 14.7.2010: Kawaida san at Hombo's head office has just confirmed to me that the company is refurbishing its stills and planned to start distillation again in 2011. 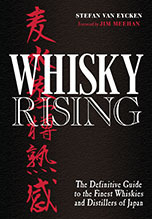 Update 12.2.2010: It seems Mars may be slipping into Japanese whisky history. One of the pot stills is dangerous and cannot be used, according to the people at the factory. Although the Shinshu site is still producing alcohol, I don't believe it has produced whisky for up to a decade. Shinshu whisky is, however, still on the market. Hopefully, with all this fuss about Japanese whisky, someone will see the light and get those stills working again. At an altitude of 2,600 feet above sea level, this was the highest distillery in Japan. Its neighbour Hakushu, which is itself well over twice as elevated as any Scottish distillery, is 400 feet lower. Sitting in Miyata village at the feet of the Kiso mountains, its water was taken from underground streams running off granite under the range. Granite is considered a good basis because this hard rock allows the rain and melt water to retain its natural softness, with a minimum of minerals being picked up. Shinshu is a multipurpose site. 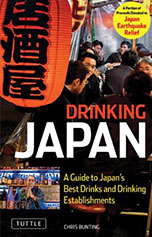 It is owned by Hombo Spirits, who are most famous for their Japanese shochu and plum wines. 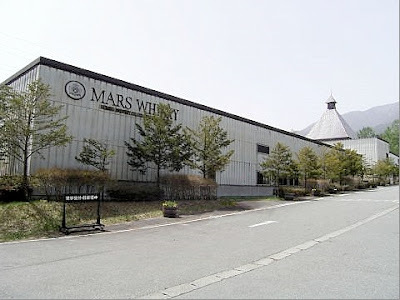 They also sell wine and brandy, sometimes using the same "Mars" brand that they use on much of their whisky and some of these operations are carried out at the Shinshu site. I believe that there is beer being brewed at Shinshu, although I don't know the connection between that Minami Shinshu brewing company and Hombo Spirits. The Shinshu plant was opened in 1985. 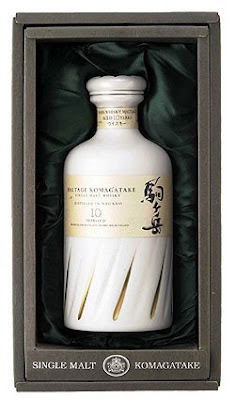 Its main brand of single malt is called "Komagatake" ("pony mountain"). If that name rings a bell, "Kai-komagatake" is the name of the mountain which the Suntory distillery Hakushu draws its water from. However, their are loads of pony mountains across Japan, and the "Komagatake" referred to here is a different peak in the Kiso mountains. Prior to 1985, Hombo's whisky operations had been at Kagoshima on the Southern Island of Kyushu, where it had originally begun its whisky line in 1953. The company is still selling a "Satsuma" single malt from that distillery. Incidentally, Hombo have their own version of the Masataka Taketsuru creation myth stressing the role of Kiichiro Iwai (岩井喜一郎), who had a role in sending Masataka to Scotland and received his report when he returned. Iwai helped set up Hombo's whisky operation, which was originally based at the Kagoshima distillery which, although its single malts are still on the market, now produces only shochu. There has been no whisky distilling at Shinshu since 1992 but Kawaida san at Hombo's head office confirmed to me in July 2010 that the company was refurbishing its still room and planned to start distillation again in 2011 . There are two stills (one of which, according to Katatomo-san, was unsafe in early 2010). The whisky is matured in sherry, brandy and bourbon casks. Mogi says there were about 500 casks in the warehouse in 2008. The factory is open to the public between 9am to 4pm, although I am not sure whether there are guided tours. It may just be a static exhibit. It has a shop, a brewery pub, a herb garden and a restaurant. Nearest JR station is Komagane. The distillery picture was taken, with permission, from this website. I visited this distillery yesterday. There were 4 of us and we were the only visitors there. We were given a tour of the facility and the aroma in the barrel warehouse was simply intoxicating -- pure heaven. Since I was the driver I couldn't participate in sampling but I did buy 5 bottles of whisky and will be doing my tasting at home. The staff were incedible nice and helpful. The distllery is nesteled in a nice wooded area and has an atmosphere of peace and serenity. I highly recommend visiting to anyone going to the Nagano area.